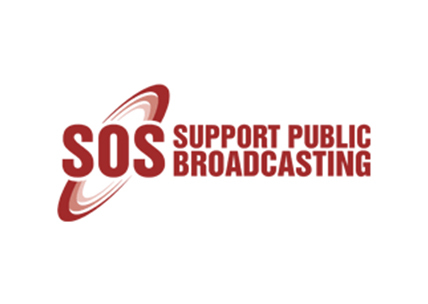 Media Monitoring Africa (MMA) and SOS Support Public Broadcasting Coalition welcome the application for direct access to the Constitutional Court by the “SABC 8” MMA & SOS together with a range of other institutions including the FXI and Sanef have been cited as respondents and we will be submitting our papers accordingly. We see this as an absolutely critical and essential step in ensuring that the madness, and democracy threatening censorship at the SABC is halted with the urgency required. We have seen over the last few weeks the numerous efforts by the SABC to delay, deny, obfuscate and shirk responsibility for their offensive and disrespectful actions. The case while unusual is critical for the future of not only the SABC but will impact media freedom in South Africa more broadly. The issues go beyond the Public Protest policy edict and the illegal suspensions of the 8 journalists. Indeed the papers present an utterly chilling picture of what is happening inside the public broadcaster. From the outset it is clear that the 8 journalists who have prepared the papers all have diverse skills and expertise across a range of areas and interests. Collectively they have 84 years of experience which in and of itself highlights the gravity of the issues being raised. The evidence for the clause is around for all to see. From the as yet unresolved recommendations in the Public Protectors Report, and the numerous cases seeking to resolve the appointment of Mr Motsoeneng, and most recently the SABC’s show of sheer contempt for the independent regulator’s ruling highlights just how essential, and indeed how this may well be the only real chance of having the necessary and timeous impact on halting censorship at the SABC. We call on all people in South Africa to support the call for direct access.